← A little local difficulty! Those of you following the fortunes of “Giorgio”(28) “Maria” (32) “Harry”(41) “Eve”(51) “Alicia” (53) “Kathy” (54) “Caroline” (58) “Louis” (60)”Fiona”(61) “Barbara”(81) will see that the exceptional disruption and turbulence which has so characterised 2010 for our world, is also continuing to make its mark on their lives. Last week, Part 8 featured “Eve”(51) “Alicia” (53) “Kathy” (54). This entire period enriched my life, not always in gentle ways, with themes of value and self worth……. I was challenged to seek a deeper understanding of what I value in myself, others, and in life. 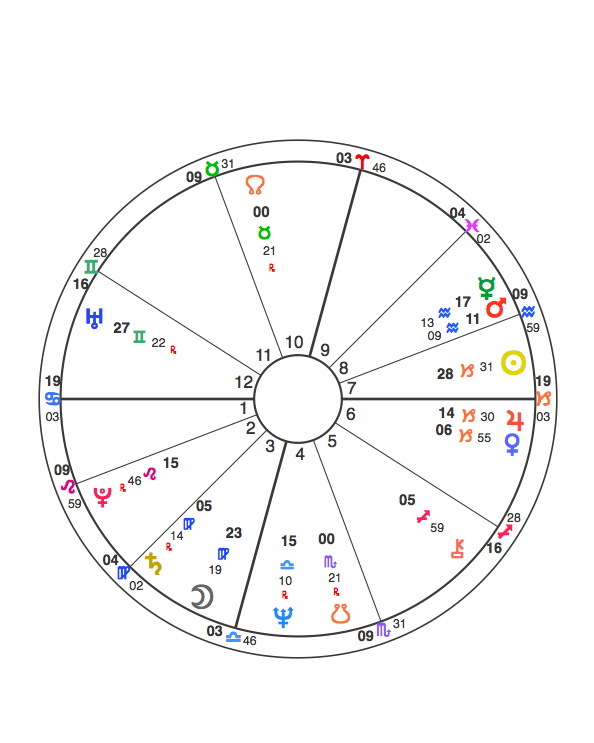 This eclipse was approaching a conjunction with my natal Chiron, 07.42 Capricorn, in the second house sign in the first triggering familiar, and familial, themes of self-worth and my habit to under value myself. I had a shocking surprise when a dear friend whom I consider family challenged my self worth and oddly rather than crumbling with self doubt, I accepted our differences about what my time and talent is worth and put forth a very conscious effort NOT to damage our 30 year friendship by challenging her behavior toward me… our friendship has definitely changed, I have become more separate and mature, less in need of her approval or willing to follow her standard of behavior, and I am no longer expecting her unconditional help, something that I assumed would always be a part of my life experience. A period of sobering realities. The week of August 5, Venus entering Libra and crossing my 10th/4th natal axis, my relationship with my mother was challenged and rather than getting angry and feeling hurt I accepted her behavior toward me, her not including me in family gatherings, and consciously decided NOT to fight with her or challenge her behavior with me – similar themes with my best friend 2 weeks earlier, the week of July 26 when Saturn opposed Uranus. Each of these experiences a maturing passage that has helped me separate from other people’s values and influences upon how I value myself. Much needed maturing which I feel grateful for. During this period I have gone back in time, working in a profession I left in 1994. The work is creative but challenging to old habits of feeling hyper responsible for making sure that NOTHING goes wrong which is unrealistic and crazy making… I have under-valued my contribution and participation in the project, an old pattern needing to be broken, which Uranus transiting my natal 4th promises! A period of a deepening sense of my worth. September 19 began a week of horrors that brought a newly found and comforting insight that I prefer NOT to have the responsibility of ownership, enjoy living as a nomad, and that rather than pathologize my choices in life that I need to cultivate a community of like minded souls……. I struggle to understand the hows and wheres of this recent insight but confident that with time I will see a clear path to follow. My mind and heart pointed toward service and I am currently looking into joining the Peace Corps as a possibility… to be continued. I feel liberated from my past. Deepened resolution about living as a nomad without a home or property of my own. I returned to my roots 6 months ago , near the time of the first conjunction, and realized that I do not have the same values as I once had…… I am not interested in having a home or being part of a particular tribe…. in fact, I feel a free spirit in the universe not belonging in one particular place. I have felt alone and isolated most of my life never really fitting into the situations that I was living. I feel liberated and centered within myself. I have a deepened self-acceptance. I am trying not to compare myself to old standards which have lost value in my life. I have stopped looking over my shoulder for that elusive someone to save me…….. I am my own savior, Neptune in Aquarius opposing my natal Mercury in Leo, and I feel an inner strength to forge a life that reflects self-honesty. I am interested in meeting others who live as I live; without home or family, comfortable to travel to unfamiliar places, working in service for others. I am not interested in personal ambition, success, or reward. At times I feel fear not knowing how to organize my life in this way – it feels very foreign – which is both exciting and terrifying. Really nothing of note that might be relevant to me personally – I have a close friend who was diagnosed with cancer of the brain on 24 July. (Saturn entered Libra 22.7.10). It’s all been rather cataclysmic. Among my close friends and relatives I have one with breast cancer in situ. Another, at whose house my closest friends and I have been meeting to read poetry for 15 years, lost her father, and her job and was forced to move abruptly. I miss this major source of comfort and solace terribly as the replacement venue is not intimate and comforting. Our co-grandfather (our pregnant grand daughter’s other grand father) had an aortic dissection which proved inoperable at the same time that my daughter’s father started to die. Our co grand father did survive with medication. My daughter’s father died September 26 leaving his estate in a terrible mess which will cost a fortune in money and acrimony to sort out. My husband had various health scares as I did myself. In addition to falling off the roof of the house he was working on and getting his truck stuck in a ditch, he had mysterious intestinal troubles requiring a Ct scan that turned out clear. His disorder responded quickly to antibiotics. 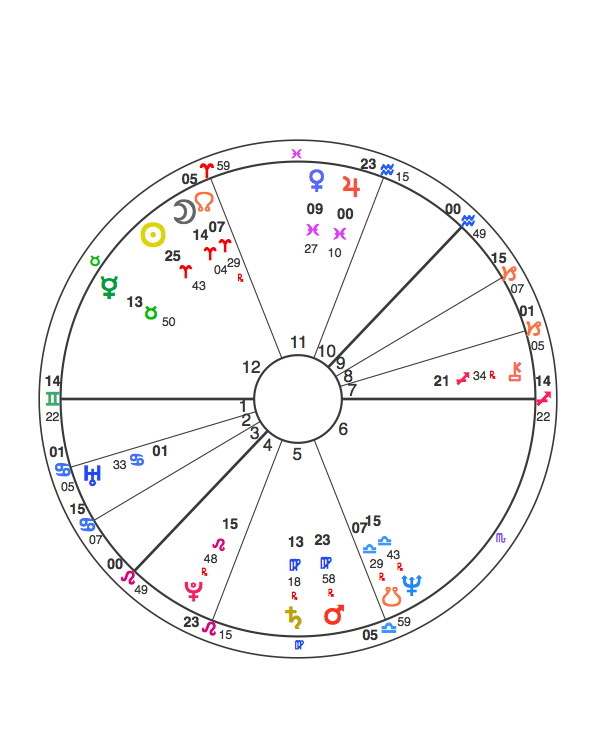 His exact Mercury conjunct Neptune, which rules his chart, is exactly opposite the Jupiter/Uranus conjunction. Many money shocks and troubles. I have a dear friend who disappeared and left her husband of 40 years – to my and his distress. She doesn’t have a birth time sadly, but surely Jupiter and Uranus is involved. Another very good friend is being sued for $800,00 in an incomprehensible lawsuit. Now we have an alcoholic nephew who has crashed his truck and broken his back whom we must now arrange care for. Much family drama about this. It really seemed like an awful lot of extreme alcoholic drinking took place in this time period some of which led to fatalities. When Jupiter retrograded on my MC exactly, all my recent clients disappeared immediately , for which I was not sorry, having so much on my plate. 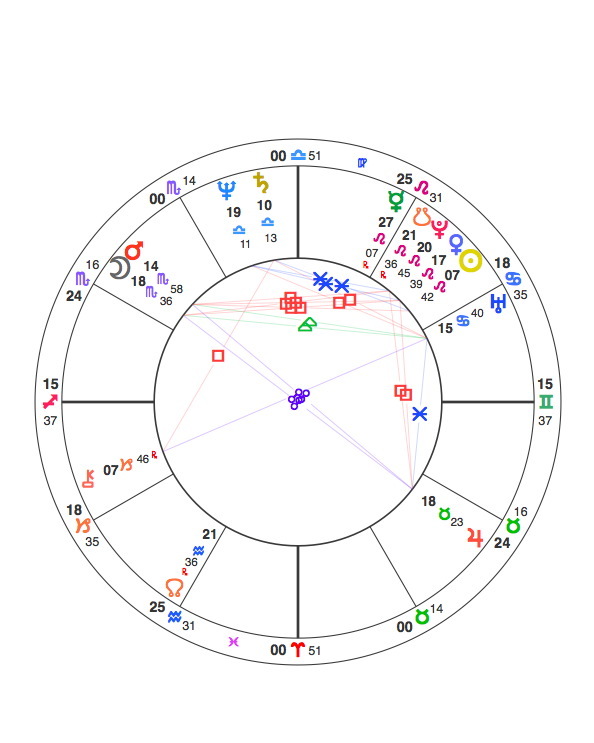 Generally a very Piscean, messy, dramatic, painful time. Annual appointment with GYN doctor…he felt unusual lumps in right breast, the same breast I had a lumpectomy on in 2006. About an hour after Mercury Rx, my son ran over a battery in the road with his car. Not having the money to get it fixed (did not even get an estimate of the damage) and wouldn’t want to under Rx Mercury anyway, his car stayed in the garage and I had to drive him back and forth to work whenever I needed to go somewhere during the day. A big inconvenience. Started feeling pain in eye tooth. Left eye and cheek swollen. Ulcers acting up due to all the pain medicine I had been taking since Thursday. Dentist diagnosed abscessed tooth and prescribed antibiotics and strong pain medicine. He recommended having root canal procedure. So sick I had to have my daughter come over and fix my meals. Swelling didn’t go down until Thursday, September 2, 2010 when antibiotics started to take affect. Received a sizable check from a real estate referral of over a year ago. Dentist performed root canal, but, after digging around for an hour, could not find it and suggested I have another procedure by a specialist. Another root canal by specialist had the same result. He wants to do surgery October 22, to take care of the problem. I’m not sure I want to do this. The infection has cleared up and I am feeling much better physically (after two round of antibiotics). I am guessing this abscessed tooth has been the cause of my physical lack of strength and general run down condition all summer. Now that I’m feeling better, I’m in no hurry to go under the knife. About this same time, a very dear friend of mine was in and out of the hospital with sever sciatic nerve pain and I was very worried about her. Took son’s car for repair which turned out to be a minor muffler problem at a cost of only $112.00. Same day the city resurfaced our alley which had been full of pot holes for years. Found out that my dear friend who had been in the hospital with sciatic pain passed over. She was only 65 years old. T Jupiter was exactly opposite her N Jupiter 27 Virgo. Her N Ascendant was 29 Virgo; Progressed Chiron was 29 Virgo; N Midheaven 29 Gemini. T Uranus was 28 Virgo. (Note: Barbara: My experience with demise charts indicates a strong Jupiter influence as if Jupiter is bringing them the freedom they desire.) T Pluto was at the bottom of her chart; Saturn transiting her First House conjunct her N Neptune; T Sun trine N Sun; T Moon opposite T Mars. I will miss her very much. Mammogram revealed nothing unusual in my right breast…a big relief. I bought a new dishwasher which I had been wanting for a long time. I am continuing to feel better physically and mentally every day. Back to my old optimistic, Sagittarius self again. Saturn has moved on from the opposition to my N Uranus and square to my N Mars…that’s a relief. 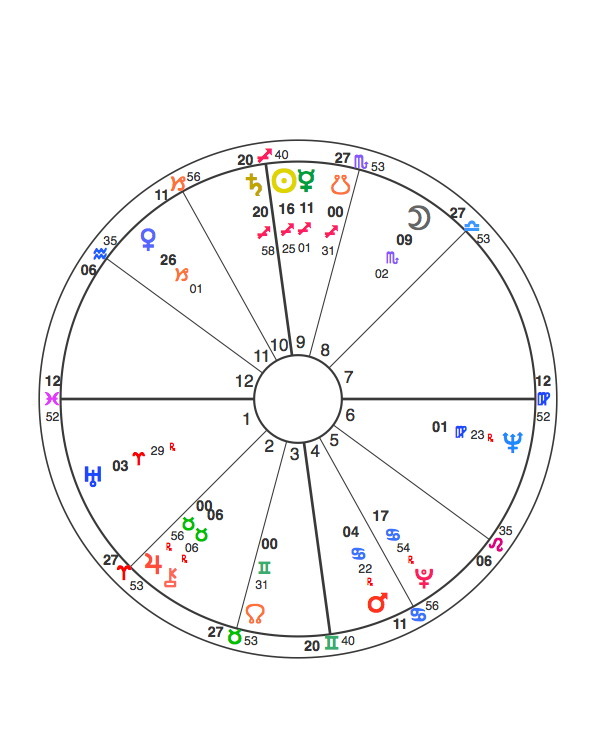 Can’t wait until Jupiter and Uranus turn Direct again in my First House. 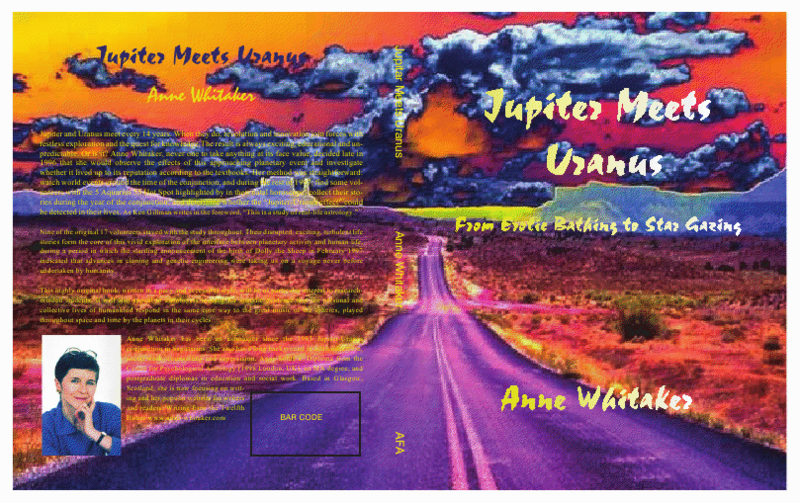 This entry was posted in Tales from the Wild Ride: Jupiter/Uranus 2010/11: Real Lives in Action Parts 07-10 and tagged "Jupiter meets Uranus", 14-year Jupiter/Uranus cycle, 1997 Jupiter-Uranus conjunction in Aquarius., 2010/11 Jupiter/Uranus conjunction, Autumnal Equinox 2010, Jupiter-Uranus conjunction in Aries June 2010, Jupiter/Uranus conjunctions in Aries and Pisces of 2010/11, Writing from the Twelfth House. Bookmark the permalink. Found this fascinating! I’m now looking at the events in my own life over the last few months in a very different light. what a nice surprise to meet you in this context! Do have a browse round the ‘Tales’ – no shortage of disruption and turbulence….